When the SM58 arrived on the scene back in 1966, nobody could have imagined that it would endure as it has. 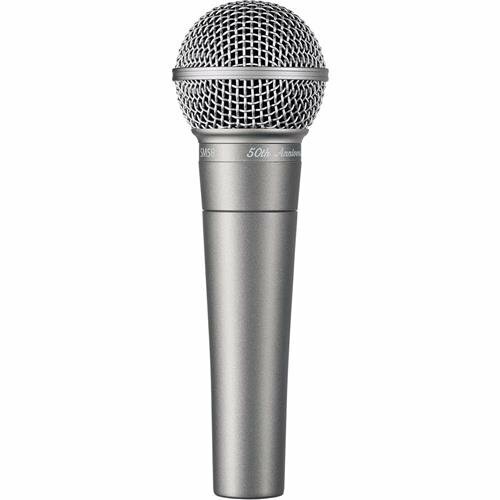 But with built-in pneumatic shock mount, the SM58 represented an industry innovation that set the stage for it to become one of the world's most popular microphones, legendary for its quality and reliability. And here it is, a half-century later, as rock-solid as ever. Today, this commemorative anniversary edition, in a package inspired by the original box, celebrates the storied past of a true performance icon - the Shure SM58 Vocal Microphone.